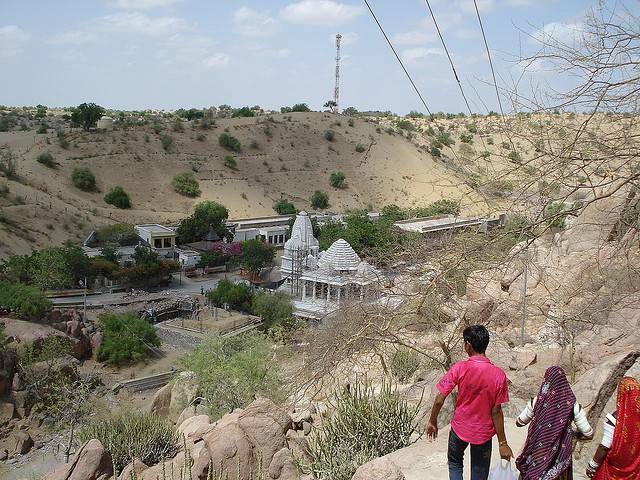 Jalore or Jalor lies on Sukri River and about 140 Km from Jodhpur. Famous spot in Jalor is the Jalor fort that is perched on top of a hill. There are four entrance gates to this fort but only one gate is used as an approach to the fort. The Suraj Pol is a gate which is so designed that the first rays of the sun fall on this gate. Other noteworthy attractions in the fort are the Kila Masjid, Saint Rehmad Ali Baba Shrine as well as Malik Shah Tomb. The Jain temples of Jalore which are dedicated to Adinath, Mahavira, Parasvnath and Shantinath are a must visit for all Jains. Also famous for the Shiva temple and temple which houses Amba Mata, Ashapuri and Lord Hanuman are frequented by Hindu devotees.